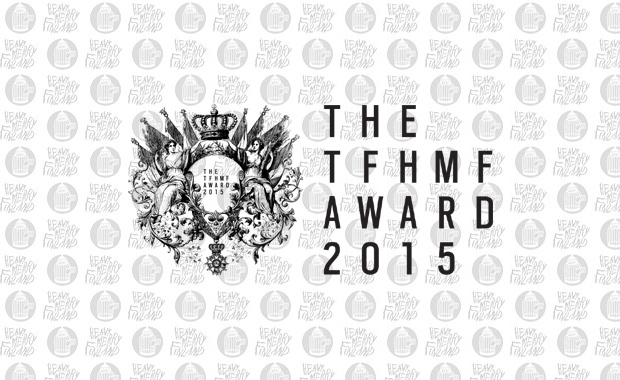 The TFHMF Award 2015 is a crowdfunded award created by the Dutch and Finnish art foundations Tupajumi and HeavyMerryFinland and already in it’s second year. The main objective by both organizations is to promote artists worldwide at key locations. This year the organizers will present five artists in a group exhibition at the popular Platforms Project @ Art-Athina Art Fair in Athens, Greece. And you can be one of them. One of the participants will win the TFHMF Award 2015, including the donations raised by the visitors of the art fair and the donations raised on-line via a crowdfunding campaign. The competition is open to all artists and the call for entry for the Award runs from 25th February 2015 until 1st May 2015. Out of all the artworks entered, a long-list will be made which consist out of 25 artworks, selected by the two organizers. A professional jury will narrow the long-list down into a selection of 5 finalists of whom the artworks will be on display at our booth at the Platforms Project @ Art-Athina. 25 Euro for 3 artworks. Visitors of the art fair crowdfund the prize money and an online crowdfunding campaign is organized to further raise the prize money.